For the first time a gantry 3D construction printer is actually printing in Dubai! COBOD International and 3DVinci Creations, Dubai signs distributorship agreement and showcase 3D construction printing for the next two months in Dubai. Everybody is welcome to come see the printer in action ! Dubai – 27 January, 2019. Last Thursday a 3D construction printer was actually printing concrete structures in Dubai for the first time. The same printer was used by COBOD to 3D print the first fully permitted 3D printed building in Europe living up to all the EU’s strict building codes. The events marks the signing of a distributorship agreement between COBOD and 3DVinci Creations, enabling 3DVinci Creations to bring the COBOD gantry-based 3D concrete printers to the United Arab Emirates. This distributorship agreement allows COBOD (Denmark), a leading provider of sophisticated gantry-based 3D concrete printers in the construction industry to partner with 3DVinci Creations, a provider of affordable and accessible 3D printing technologies with its headquarters in Dubai, UAE. This partnership further develops the growth of the already successful COBOD 3D concrete printers with the aim to push 3D concrete printing further in Dubai and help attain the monumental milestone that by year 2030, 25% of all new buildings in Dubai must be constructed with 3D printing technologies. 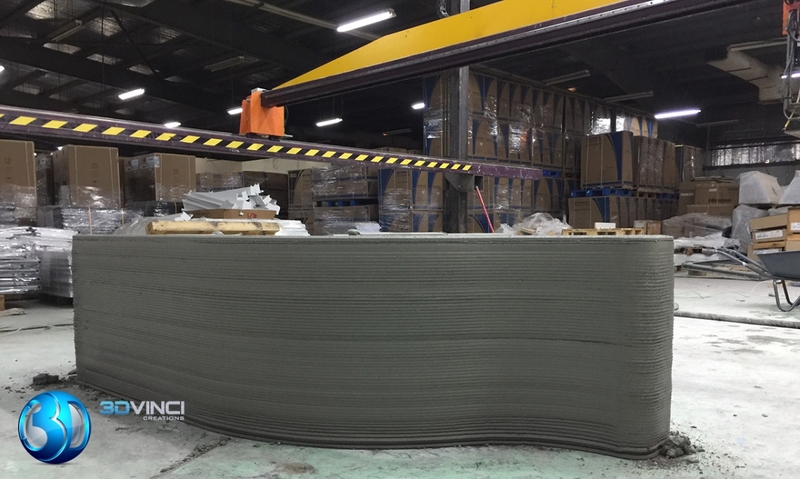 During the spring of 2019, at least one BOD2 printer will be placed in the Middle East to provide the region access to the latest state of the art technology in 3D concrete printing.